Imogen's Typewriter. 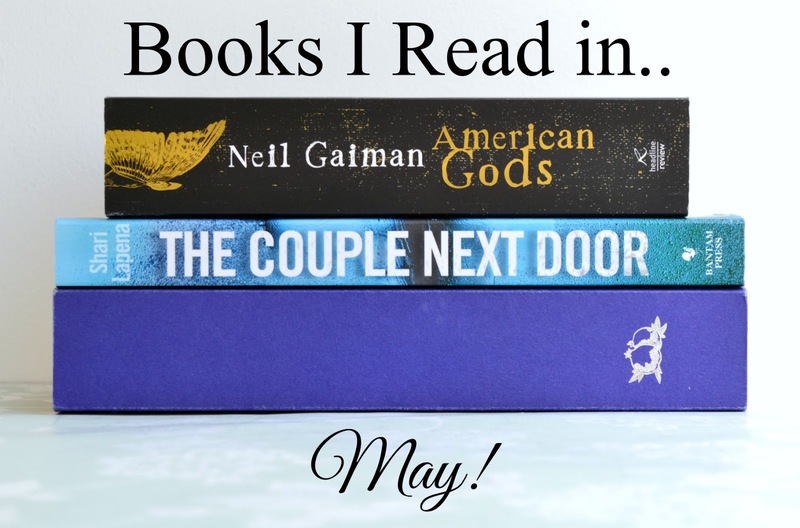 : Books I Read in.. May! This was the audiobook I was listening to, and it was the prompt for my Getting Back into Audiobooks post! I liked it more in the beginning than I did towards the end. I think a book managing to stay good for 20 hours, is a real test, and this just didn't cut it for me. I'm thinking Neil Gaiman just isn't my kind of author because The Sleeper and the Spindle wasn't for me either. I loved the travel aspect, the murder mystery aspect but the Gods part just fell flat for me. Twenty hours later, I just felt shortchanged by the whole thing and don't have much to say for my experience! This isn't being published until July 14th so look out for a full review closer to the release date! This book really needs a full review because it was just incredible. It's rare that- as a poor student- I want to buy hardcovers, especially when I have a copy of a book in whatever form, but the idea of this six book series on my shelf in matching covers just makes me the human equivalent of the heart-eyes emoji.